Limited Time FREE Offer - Purchase the Klein BAT20-7T23 Crimping Kit and get one Klein BAT20-716 Impact Tool Only. Limited stock available. Don't wait. 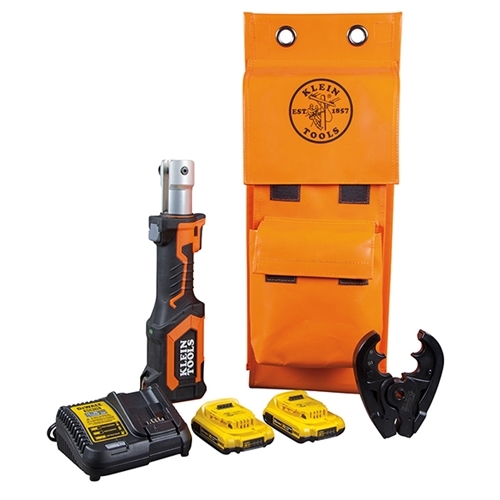 Klein's BAT20 series of battery tools uses the DeWalt 20 volt lithium-ion battery and charger. The 7-ton force easily cuts and crimps. This kit includes crimping jaws with O and D3 dies. The kit includes two batteries, charger, and a carrying bag.